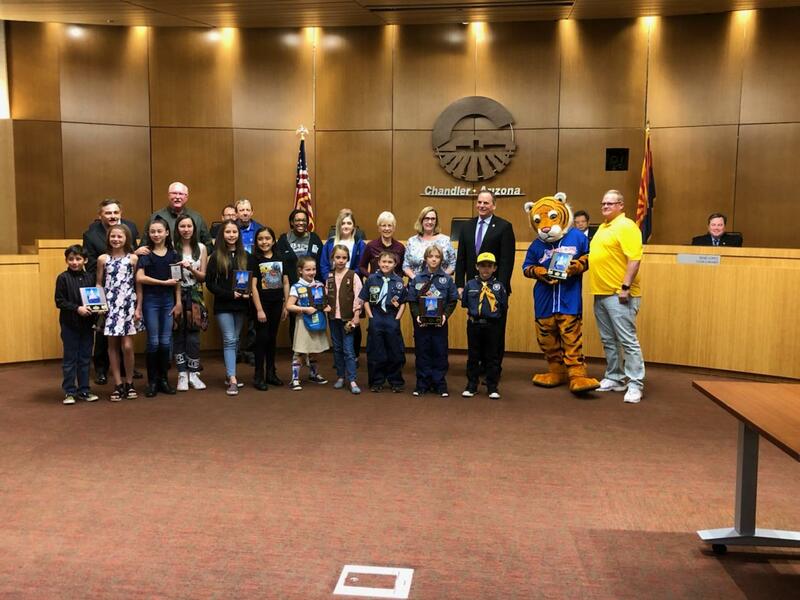 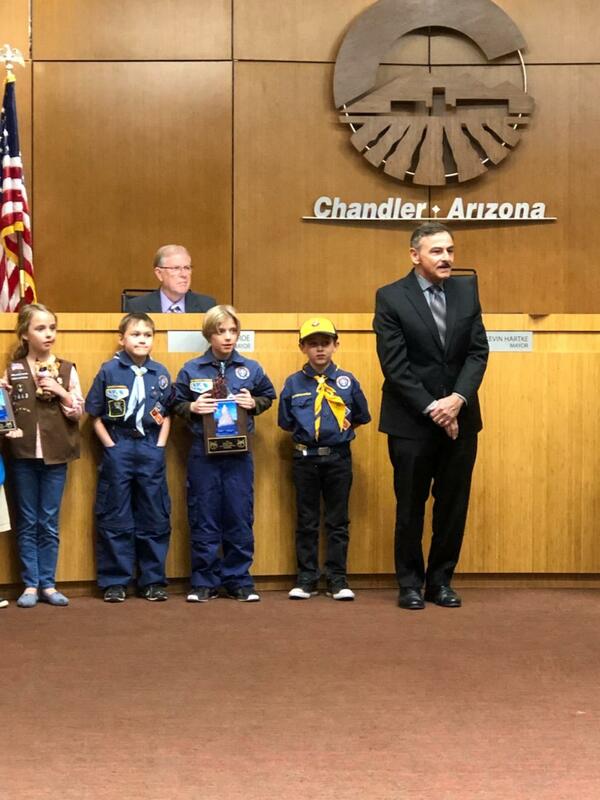 Pack 88 was awarded Best Community Group during the 2018 Chandler Parade of Lights. 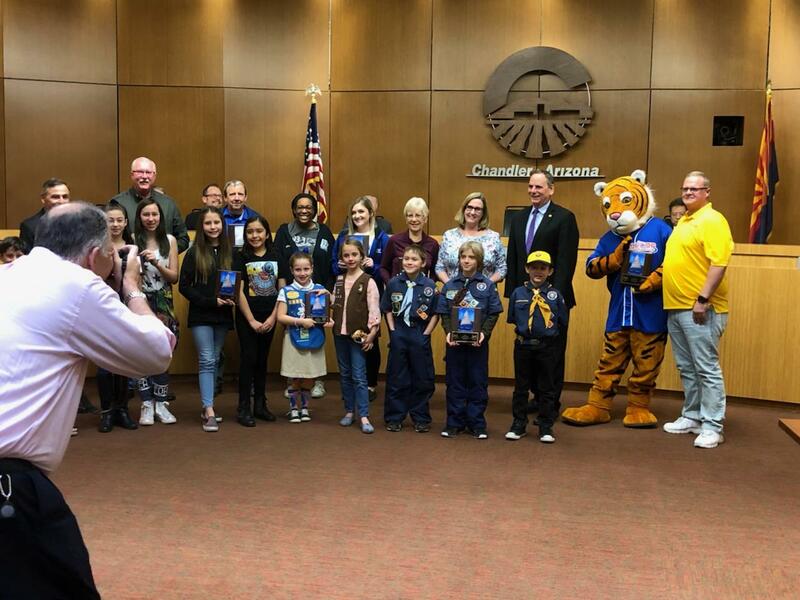 Here are some photos of some of our scouts accepting their award from the mayor of Chandler. 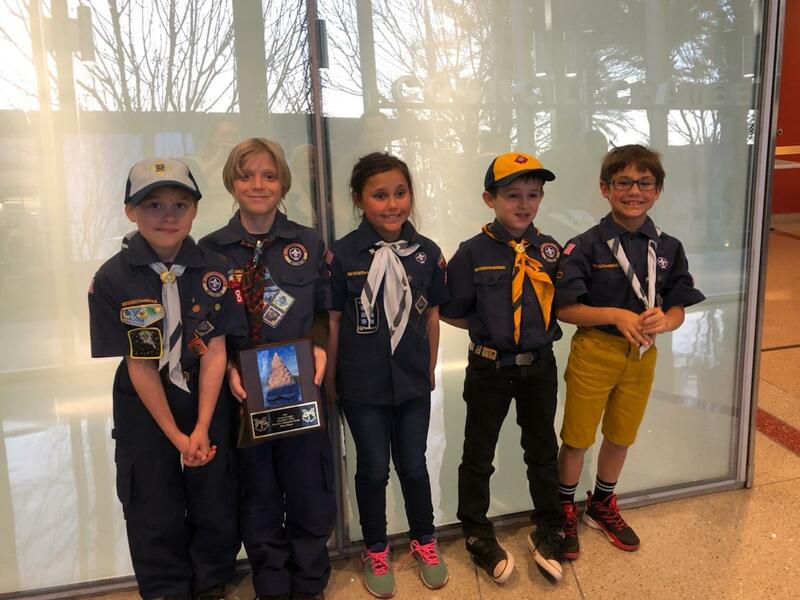 Our Cub Scout Pack cannot express how proud we are of our participating scouts. 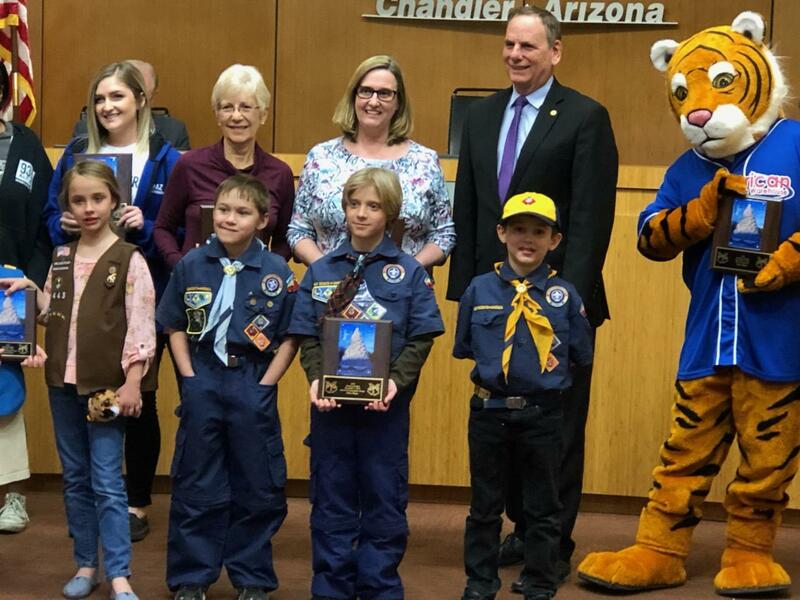 Congratulations, you did great.